Join us at the Project Pengyou Courtyard on Thursday, July 26, 7:00pm – 9:00pm for a summer meet and greet event to learn from nine seasoned environmental experts from across a variety of sectors. 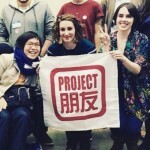 Calling all young professionals in Beijing! Are you baffled by the array of advocacy for environmental and social issues? Interested in a range of sectors but don’t know the best fit for you? 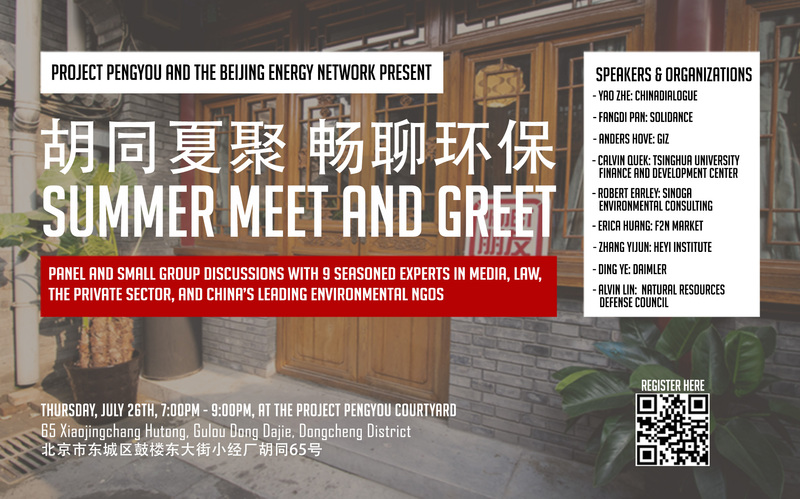 Join us on Thursday, July 26 at in our courtyard for a meet and greet event to meet seasoned experts from across the field, representing both public and private sectors, media, law, and China’s leading NGOs. They will be sharing their stories of personal growth, surprising career shifts, domestic and international experience, and steady passion for their work. 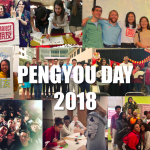 Speaker introductions will be followed by small groups discussions, so that participants have the opportunity to ask targeted questions and listen one-on-one, followed by networking and refreshments in Project Pengyou’s hutong courtyard. Admission is free! Please send an email with your name and affiliation to nihao@projectpengyou.org or visit huodongxing to register before July 25th. Address: 65 Xiaojingchang Hutong, Gulou Dong Dajie, Dongcheng District. Yao Zhe is the Strategic Climate Communications Officer at chinadialogue. She has previously worked on policy analysis and communication for several organizations including The International Energy Agency, Save the Children China Programme and Sohu.com. Zhe holds a Bachelor’s degree in journalism from Tsinghua University and a Master’s degree in International Development from Sciences Po Paris. Anders Hove is Project Director at GIZ for the BMWi-funded project German Energy Transition Expertise for China. He has worked in Beijing since 2010 and has more than 18 years of public and private sector experience related to energy policy and markets, including nine years on Wall Street and four years in China with organizations including the Rand Corporation, China Greentech Initiative, Azure International, and the Paulson Institute. Hove has both a Master of Science and a Bachelor of Science in Political Science from MIT, and he is a Chartered Financial Analyst. Calvin Quek is a Research Fellow at the Tsinghua University Finance & Development Center. He also heads Greenpeace East Asia’s Sustainable Finance Program. Calvin served on the Board of the China Carbon Forum, and was the first Executive Director of the Beijing Energy Network. Prior to joining Greenpeace, he was with Citigroup for close to a decade, with the investment research team in Singapore, and led Citigroup Singapore’s CSR & Volunteerism committee in 2008. Calvin has an MBA from Peking University, and an MSc in Wealth Management from Singapore Management University. Alvin Lin is the Climate and Energy Policy Director for the China Program at the Natural Resources Defense Council, where he focuses on analyzing China’s climate and clean energy policies and advocating for their continual improvement. His areas of expertise include the environmental impacts of coal and shale gas development, energy efficiency technologies, nuclear power safety regulations, and air pollution law and policy. Prior to joining NRDC, Lin worked as a litigator and a judicial clerk in New York City. He holds a Bachelor’s degree from Yale University, a Master’s from the Chinese University of Hong Kong, and a JD from New York University. ZHANG Yijun is a Senior Program Manager at the Heyi Institute. Over the past 12 years, she has provided capacity building for grassroots NGOs and frontline enforcers, advocating for strong policy and law in pursuit of good environmental and ecological governance in China. Erica Huang is the founder of F2N Market (previously known as Farm to Neighbors), a weekly farmers and lifestyle market focusing on promoting healthy foods, conscious consumption and sustainable lifestyle. Robert Earleyhas been a leader in the area of sustainable transportation and clean fuels and vehicles in China and across Asia since 2008. Now as the founder of an environmental consulting company in Beijing, Robert works to help organizations, companies and governments to better understand sustainable transportation, from cleaner vehicles to better infrastructure, in China and across Asia. 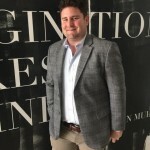 Robert’s recent and current clients include UN Environment, the United Nations Center for Regional Development, Energy Foundation, SCS Global Services and more. Fangdi Pan received her B.A. from the University of Wisconsin and her M.A. from Middlebuy Institute of International Studies. Before coming to Beijing, she worked at the Safeguards Department of International Atomic Energy Agency. Currently, she works for a consulting company where she focused primarily on the impact of energy and infrastructure development. Ding Ye began his environmental career in 2013 at the Innovation Center for Energy and Transporation (iCET). He joined Daimler China as a Fuel Consumption Regulation Senior Specialist in 2016 and has enjoyed the transition from NGO work to the private sector. Don’t miss this opportunity to meet and learn from like-minded pengyous who care about the environment and have wisdom to share! The Beijing Energy Network (BEN) is a professional network with a mission of promoting knowledge sharing, networking, and collaboration in understanding and tackling China’s energy and environmental challenges. The flagship activity of BEN is the Beijing Energy & Environmental Roundtable (BEER), an approximately twice-monthly happy hour/speaker series. BEER events are free or low cost and open to all with no RSVP necessary. Please note, we ask that our speaker’s remarks remain off the record unless they otherwise grant permission.